It s a superfine powder that dissolves easily and removes tough stains fast. With Surf excel Easy Wash, now remove tough stains easily with the power of ten hands.We understand that washing clothes and removing stains can be extremely tiring and cumbersome. Especially if you are a mother of a young kid who fills your laundry basket with clothes covered in an array of stains, grass stains from football practice, ketchup stains from lunch and paint stains from art class. Until now you would have to soak your child s dirty clothes for a couple of hours and then scrub them with your hands using a brush and a bar, and wondered why it takes so much time and effort to remove stains from your kid s clothes? The answer is because regular detergents do not dissolve completely and don t work as effectively. 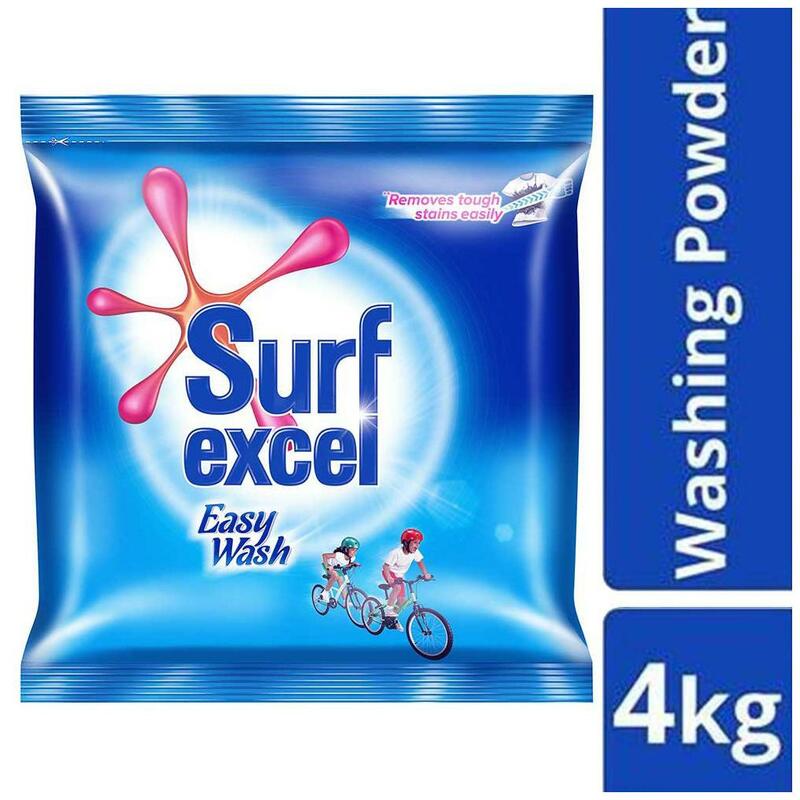 Surf excel Easy Wash is a superfine powder that removes tough stains in a jiffy and leaves no residue on your clothes. Being a superfine and fluffy powder it dissolves easily and reaches the stain and removes it easily. Its engineered formula with a superior technology unleashes the power of 10 Hands that is effective in removing toughest of the stains such as mud, ink, oil, ketchup, curry stain and chocolate very easily.